The wait after mailing out a bunch of resume can be frustrating as it can be mindnumbingly depressing. That’s the easy part. I can see you rolling your eyes. First, you shouldn’t be waiting. You should be doing. You should be doing something. Mail out more resumes. Network. Attend toastmasters. Join a job club. Anything but waiting. Here’s a part of the job search that’s actually hard. Waiting before your first interview. That’s hard. You would think getting past the gatekeeper at Bridge Resume would be the part. And it is. Congratulations. You made it past level one. Level two is harder than level one. The wait leading up the interview can be nerve whacking. Because if you ace this interview, then you can breathe. I said, “breathe,” not cocky or comfortable. Cause you head to Level three. To help you get to level three, You need to do some research. 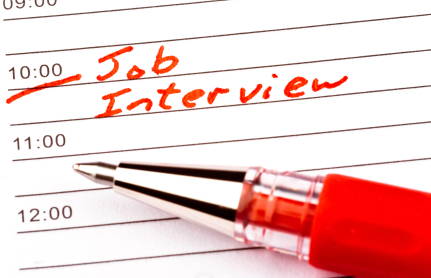 You need to research the company, the key players, the industry, and what to expect during the interview. On that note, some generic question stuff is nice to know to. Jacquelyn Smith wrote an article, “What Hiring Managers Really Want To Know When They Ask, ‘What Are Your Hobbies?’” in which she gives you an edge by deciphering the intent behind the questions. “When you’re in the hot seat answering questions such as, “What’s your greatest weakness?” and, “Why should we hire you?” — a query like, “What are your hobbies?” will probably seem like a piece of cake. But before you start babbling about your lifelong obsession with horses or your newfound passion for baking, consider this: The hiring manager wants to get a better sense of who you are, so it’s important to think about which hobbies best showcase your strengths, passions, and skills — and then only discuss those in the interview. Give an example where you have worked under pressure? I have asked these questions so, so many times. And I can you that each of those questions can easily torpedo your interview and your job chances all by itself. You can head to Peter Botting’s article, “The top 10 interview questions you really should know the answer to,” for great advice on how to handle each of those questions. Being offered the opportunity to showcase who you are and what you are during an interview is – or can be – priceless, as the commercial goes. I want you to be the most prepared and confident person heading into that room. so these article and search Landing On Your Feet Interview topic for more articles that will give you a leg up.